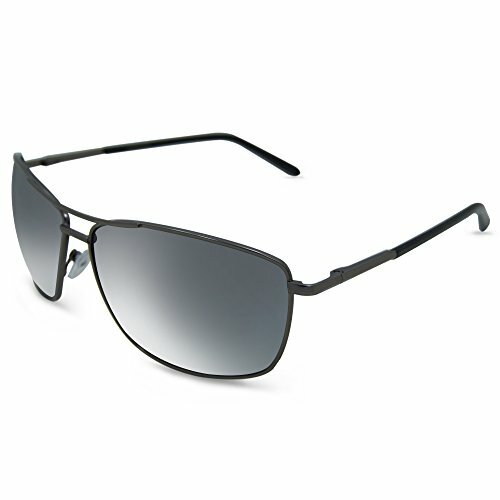 In Style Eyes Mirrored Bifocal Sunglass Readers Give You a Cool Look. The Bifocal Lines are Invisible to Others while you're Wearing Them. Reading in the Sun has never been easier - these full UV 400 Protection Sunglasses are also Bifocal Reading Glasses! Eliminates the need for Two Pairs of Glasses. Top Quality Metal Frames and Metal Hinges make them Sturdy yet they have a Very Comfortable Fit - You'll Forget you have them on. You'll find the Look Combined with Clearer Vision Hard to Live Without. Includes FREE Case and Cleaning Cloth.